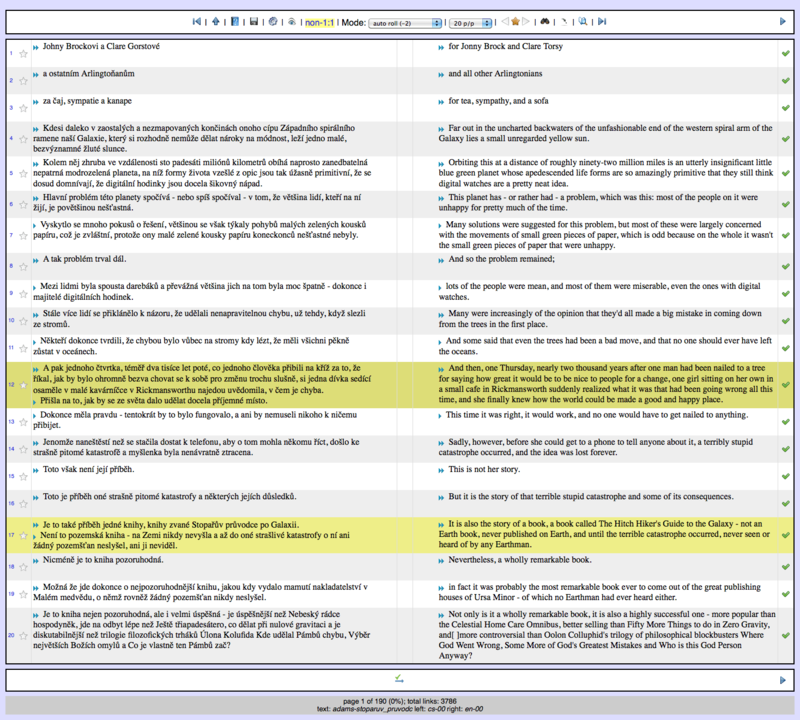 InterText is an editor for aligned parallel texts. It has been developed for the project InterCorp to edit and manage alignments of multiple parallel language versions of texts at the level of sentences, but it is designed with flexibility in mind and supports custom XML documents and Unicode character set. There are two different editions of InterText: InterText server and InterText editor.